David Beckham has launched his long-awaited Major League Soccer franchise after his side was accepted into the league by Don Garber. The former England captain announced the news at a press conference alongside Garber on Monday afternoon. Garber said: ‘These are the days that really warm our hearts and make us so proud. Great things come to those who wait. A day that will go down as one of the historic days in our league. Miami had long been identified as a potential MLS expansion area but the Beckham-backed venture to take a team there had been beset by years of difficulties over the location of a possible new stadium. Beckham, who won 115 England caps, had an option to purchase an MLS expansion franchise included in his contract when he joined Los Angeles Galaxy in 2007. The former Manchester United star promised to bring the world’s top players to Miami in 2014, saying he would make a global football team, which would be ‘loved by millions of people’. Beckham joins MLS side Los Angeles Galaxy from Real Madrid in July. One of the clauses in his $250million deal is the option to purchase an MLS expansion franchise in any market except for New York City at the fixed price of $25m whenever he stopped playing in the league. The league’s owners had never given this allowance to a player before. 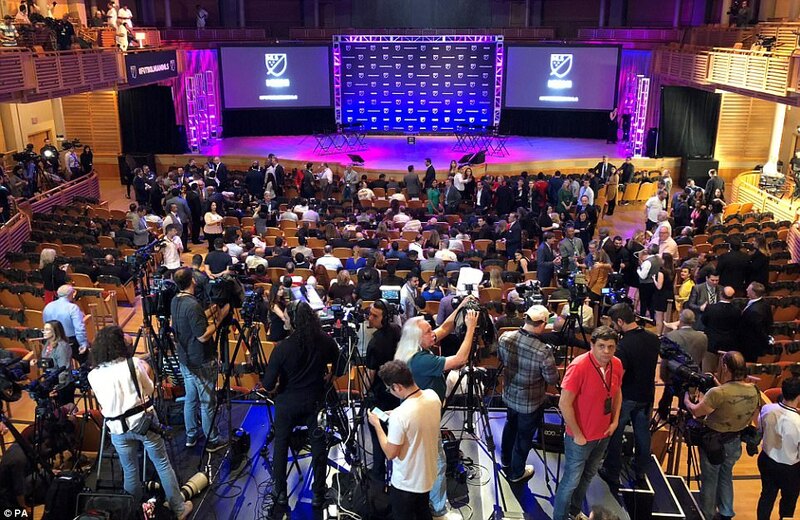 Giving his annual state of the league press conference, MLS commissioner Don Garber confirmed that the MLS were interested in placing an expansion franchise in Miami. He said: ‘We continue to believe Florida needs an MLS team. At some point, I think, it would make sense for a team in Miami. Miami had been without an MLS team since the short-lived Miami Fusion, which existed from 1997 until 2001. Beckham plays his final match for the LA Galaxy, helping them retain the MLS Cup with a 3-1 win over the Houston Dynamo at their own Home Depot Centre. Beckham had announced in advance this would be his final match and received a standing ovation from the home fans. Beckham played 118 times for the Galaxy, scored 20 goals and helped them to back-to-back league titles in 2011 and 2012. Beckham joins Paris Saint-Germain, signing a five-month deal until the conclusion of the Ligue 1 season. He helps them win the league title – the fourth different country where he has achieved this feat. Beckham announces that he would retire from football at the end of the season. His final match is a 3-1 home win over Brest, where he captains the team and receives a standing ovation from fans when subbed off after 80 minutes. Soon after hanging up his boots, Beckham held preliminary discussions with the league about their expansion targets, including Miami. In his state of the league address, Garber identified Beckham and his manager Simon Fuller as potential owners of a Miami franchise. Later that month, Miami-Dade County commissioners voted unanimously to allow the mayor Carlos A Gimenez to negotiate with the Beckham group over a new stadium in downtown Miami. Beckham exercised his option for a franchise and the team would be based in Miami assuming that financing for a stadium and its location in the city could be agreed upon. Beckham attends a news conference at Biscayne Bay to announce that he wants to front an MLS franchise. 300 people and about the same number of press watch on. Supporters from the Southern Legion fan group, founded when the Fusion were around, sing Beckham’s name and present him with a scarf. The original idea was to situate the stadium on Dodge Island at PortMiami, but opposition from local businesses shut this down. The Beckham group admitted that the club would not come into existence until 2018 at the earliest, as opposed to initial hopes to start in 2016 or 2017. They also said the team might have to play its first season in a temporary stadium, possibly Marlins Park, home of the Miami Marlins MLB team, or the Florida International University (FIU) Stadium. The investment group, known as Miami Beckham United, presented new plans for a largely privately financed 20,000-seater stadium on the waterfront in Downtown Miami at Museum Park. However, this plan was blocked by the objections of local residents. A plan to build the stadium next to Marlins Park fell through, before the owners announced they had acquired land in the Overtown neighbourhood of Downtown Miami. MLS officials approved this nine acre site in December 2015. 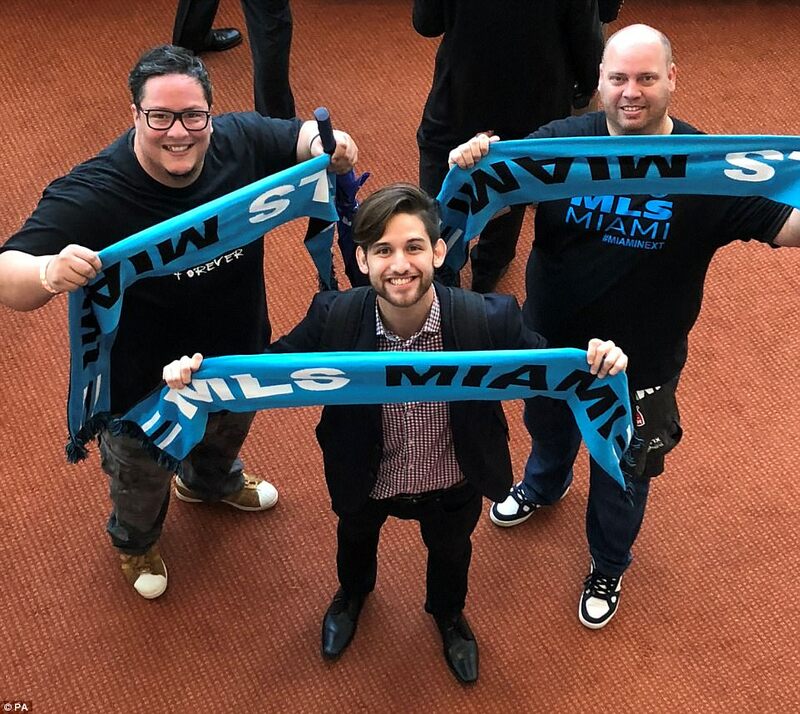 Miami FC are founded. They are co-owned by Italian legend Paolo Maldini and coached initially by Alessandro Nesta. They take up residence at the FIU Stadium and enter the North American Soccer League (NASL). In 2017, they won both the spring and fall NASL leagues but lost in the semi-finals of the play-offs. It remains to be seen how the club will be affected by the proposed Beckham franchise. Miami Beckham United began the process of acquiring the six acres out of the nine in Overtown that was privately-owned. This further delayed matters as deals had to be brokered and raised fears the team may not start until 2019. The sale of the last bit of land needed for the proposed stadium was approved.